Anointed Hearts is a family group of singers known as the Cole Family. The group consists of the father, mother and 3 daughters. 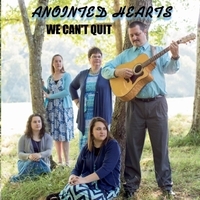 When they started the group, they wanted a name that would better represent them and their ministry... therefore originating the name "Anointed Hearts" in February 2007. They are rooted in good ole mountain harmonies and the sweet anointing of the Holy Spirit. Each song that is sung is a personal heart-felt testimony by one or all in the group. "We believe that if it does not minister to us...how can we expect it to minister to the people?" ​Their style of music is Southern Gospel, Bluegrass Gospel and Accapella for good spiritual anointed harmonies. Their roots originate in Eastern Kentucky from the cities of Paintsville and Salyersville, KY.